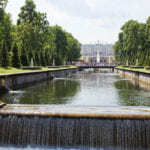 Duration: 9 hours (this time includes transfer to the city’s centre, city tour, transfer to Peterhof, 2-hour excursion in the park, 2-hours excursion in the State Hermitage, back transfer). St.Isaac Square and St.Isaac’s Cathedral, the Spit of Vasilievsky island with Rostral Columns and the Stock Exchange building and the Bronze Horseman monument, Peter and Paul Fortress, Field of Mars and the Summer Garden, the Cathedral of a Saviour-on-the-Spilled Blood and the Winter Palace. 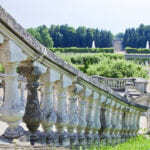 You will have 3 stops for walking and taking photos. 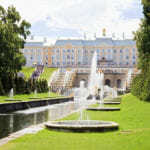 After the end of the first part you will have a time for lunch (the price of lunch is not included), and then you will be offered a very interesting excursion to Peterhof with 2-hour excursion in the park. 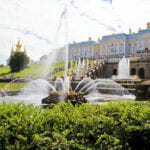 Then 2-hours excursion in the State Hermitage with a professional guide.